Need CEU Training? Check out this event! Need CEU training? 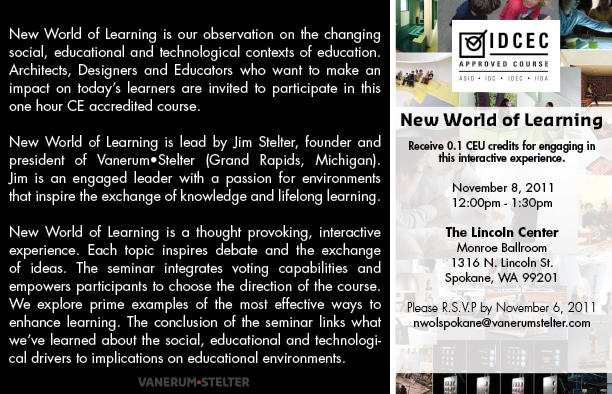 Check out this great event hosted by Bank & Office Interiors, Fuller Associates and Vanerum Stelter that will take place in two locations! 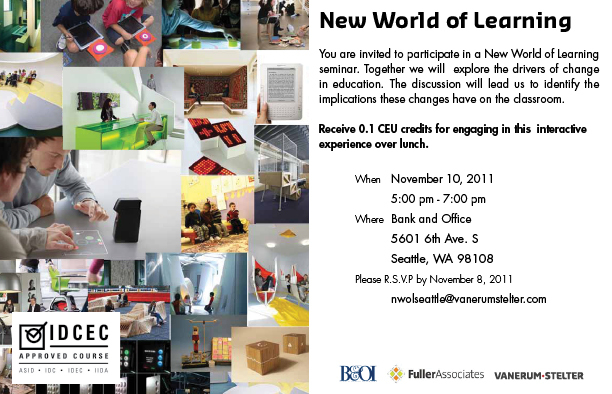 And check out the Seattle event on November 10th! A Quick Way to Brighten Up Your Day? Task Lighting!